The entertainment arm of Chinese conglomerate Alibaba Group has acquired a minority stake in Amblin Partners, the joint venture prodco in which Steven Spielberg and Entertainment One are partners. Alibaba Pictures will coproduce, market and distribute feature films as part of the agreement, and gets a seat on the Amblin Partners board. 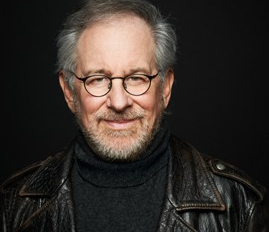 Film director Spielberg launched Amblin Partners as a JV of his DreamWorks Studios, Participant Media, Reliance Group and eOne in December last year. Though the Alibaba investment is primarily directed at movie-making, Amblin Partners has a stated goal to create both film and TV, and has Amblin Television Michael Wright as CEO. Amblin claims Alibaba’s participation will help the prodco broaden its distribution reach and consolidate relationships in China, with Alibaba now the territory’s official rep.
Alibaba owns Chinese on-demand platform Youku Tudou and jointly operates the DIsneyLife SVOD service with The Walt DIsney Company in China. “We are proud and excited that such a valued company as Alibaba Pictures is joining with our other highly-respected partners, Reliance Entertainment, Participant Media and Entertainment One, in building our growth and strengthening our company even further,” said Spielberg, whose company has produced shows such as CBS summer series Under the Dome.